A 22-year-old Hailey man was sentenced Monday to four and a half years in prison for stealing from his family. “You stabbed them in the back,” Judge Robert Elgee told Seth I. Allen at sentencing in Blaine County 5th District Court. Elgee noted that Allen has a history of substance abuse and mental-health issues and has failed repeatedly at probation. Allen is required to spend 18 months in prison before he is eligible for parole. 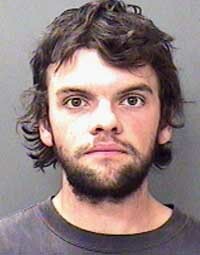 He pleaded guilty in January to the felony crime of burglary. In exchange for his guilty plea, the Blaine County Prosecuting Attorney’s Office agreed to dismissal of two other felony charges for burglary and forgery. A Blaine County Sheriff’s Office report states that Allen was charged with the crimes for breaking into his parents’ home on Treasure Lane near Hailey on Nov. 16. The report states that he stole blank checks from his mother’s checkbook and forged her signature on two of them, writing and cashing checks to himself worth more than $1,200. Allen had remained in custody on $75,000 bond following his arrest on Dec. 5. In court Monday, public defender Douglas Werth requested that Allen be placed again in a rider program. Allen was also represented at the hearing by Hailey attorney Cheri Hicks, who was assigned public defender in the earlier case against him. Deputy Prosecuting Attorney Matt Fredback recommended to the judge that Allen be sentenced to six years in prison.